The French arrived c1750, and formed an alliance with the Kansa Indian tribe, they were interested in the lucrative fur trade. The Kansa tribe, also known as the Kansas or Kaw tribes, originally inhabited eastern and central Kansas. They were typical Plains Indians. There are many famous Native American tribes who played a part in the history of the state and whose tribal territories and homelands are located in the present day state of Kansas. 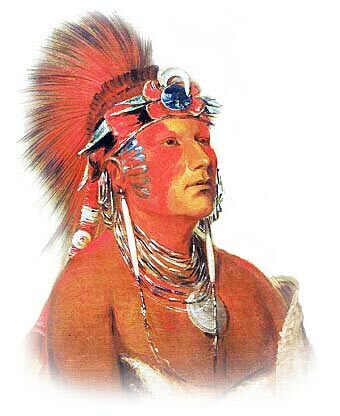 The names of the Kansas tribes included the Arapaho, Cherokee, Cheyenne, Chippewa, Comanche, Delaware, Kansa, Kiowa, Missouri, Osage, Otoe, Fox, Pawnee, Illinois and Iroquois.